Since December, Assad’s forces have launched dozens of Scud-type missiles (this week a source in Turkish government said at least 40). Several more missiles were seen being fired from North of Damascus today. 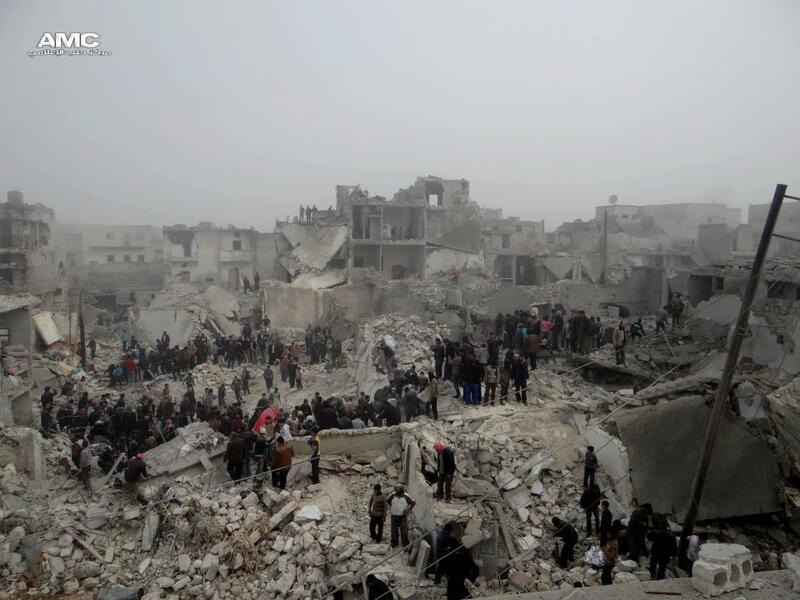 2 different neighbourhoods of Aleppo have been hit – Tariq al-Bab and Ard al-Hamra. Many homes have been completely destroyed and there are dozens of casualties. 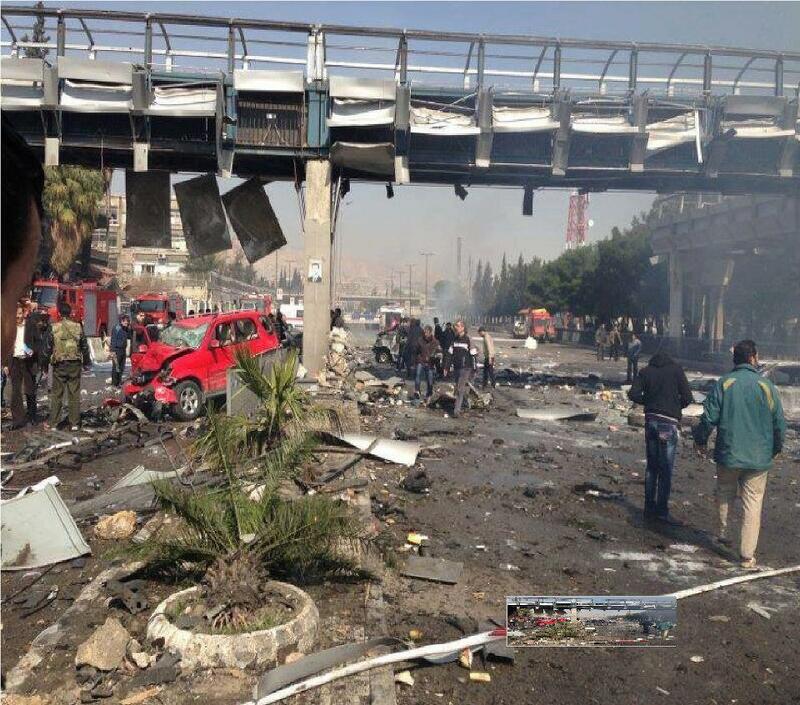 The aftermath of today’s bomb on ath-Thawra street, one of the main roads in central Damascus. This is a busy highway, next to the upmarket Mazra’ah district where the Russian Embassy and Baath Party HQ are located. This area is also normally used as bus stop for those travelling between Eastern Damascus and the City Centre. Dozens of casualties are reported. The FSA has denied any involvement. Meanwhile at least 2 bombs are reported in Barzeh, a residential area generally supportive of the revolution as well as the usual daily airstrikes, rocket, artillery, tank and mortar fire. Jabal Bedru neighbourhood in Eastern rebel-held Aleppo this morning. The area was leveled last night in what is thought to have been a missile strike. Local activists report 21 bodies have now been recovered, among them 12 children and 2 pregnant women. Given the extent of the destruction these numbers will probably continue to rise.